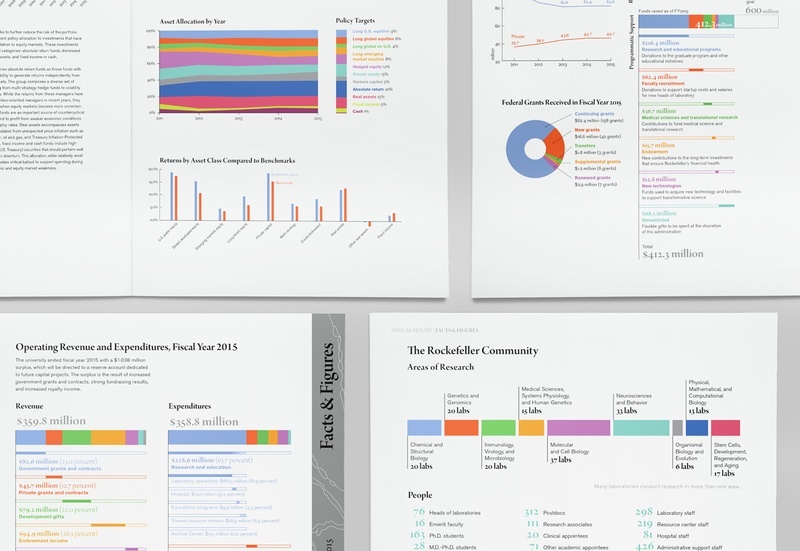 Annual reports are not just for for-profits, and they're not all going digital. The "renaissance of print" is evident in the communications of organizations of all kinds. 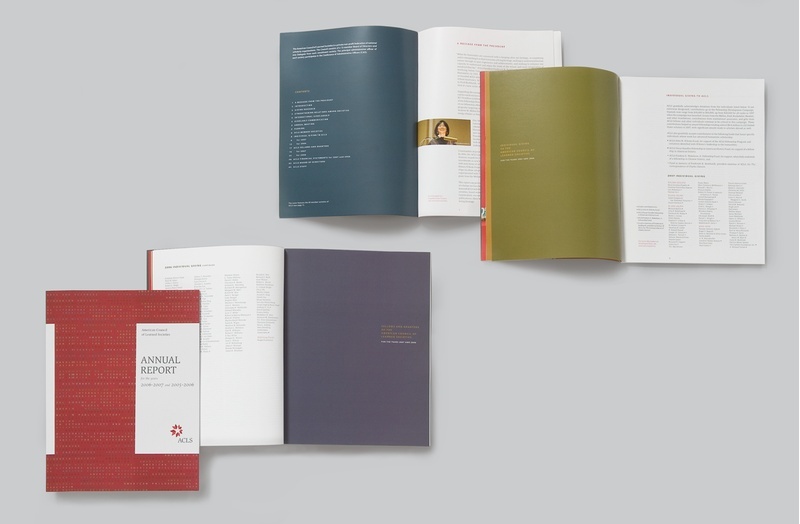 After wrapping up another annual report season, we are reminded that our nonprofit clients, including The Rockefeller University, Union Square Partnership, Kress Foundation, and American Council of Learned Societies, all do financial reporting, and print is their medium of choice. 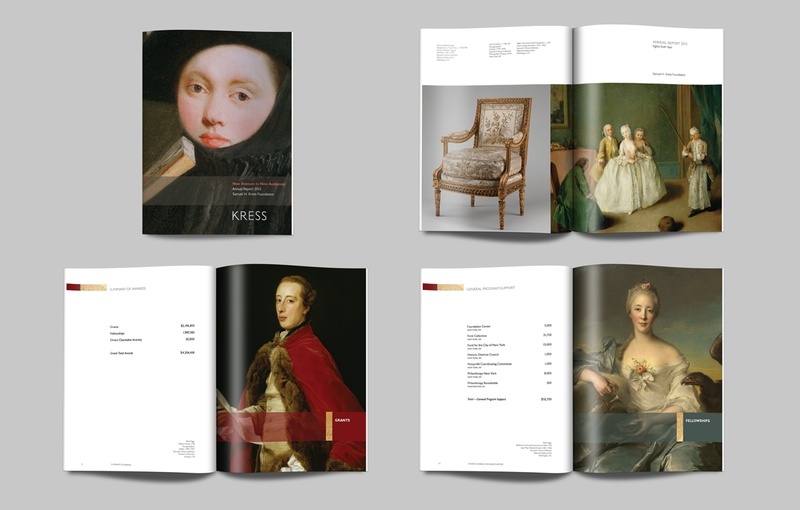 Our longest standing annual report design is for the Kress Foundation, who promote the enjoyment and understanding of European Art and Architecture through education, grants, and fellowships. 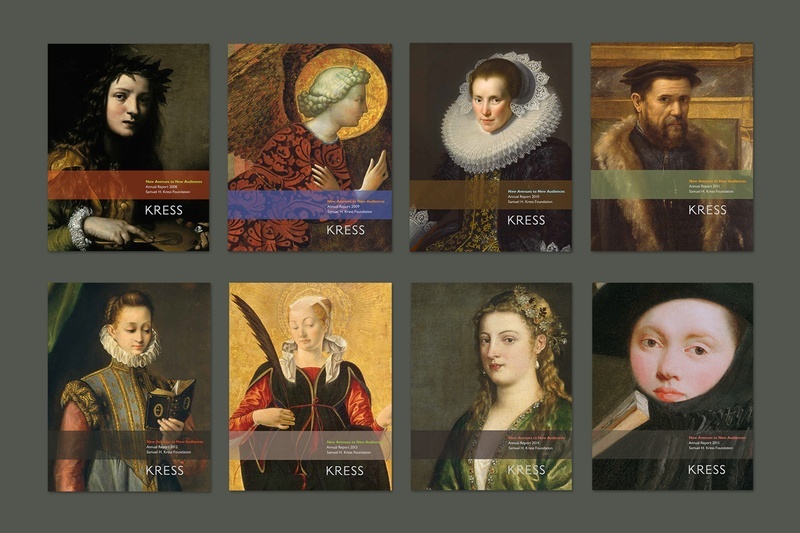 Each year, the Kress report is designed around a carefully curated selection of portraits from the Foundation’s collection of more than 3,000 works of European art. 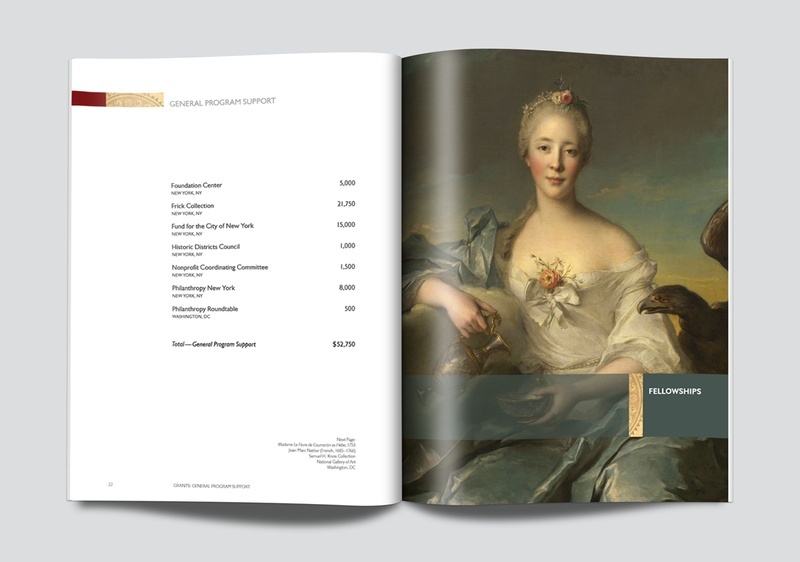 The artwork is deliberately sequenced on the cover and internal pages so that the book appears as an exhibition in its own right. Each year is a different exhibition, which keeps recipients curious about the next edition and more likely to keep them all on hand. 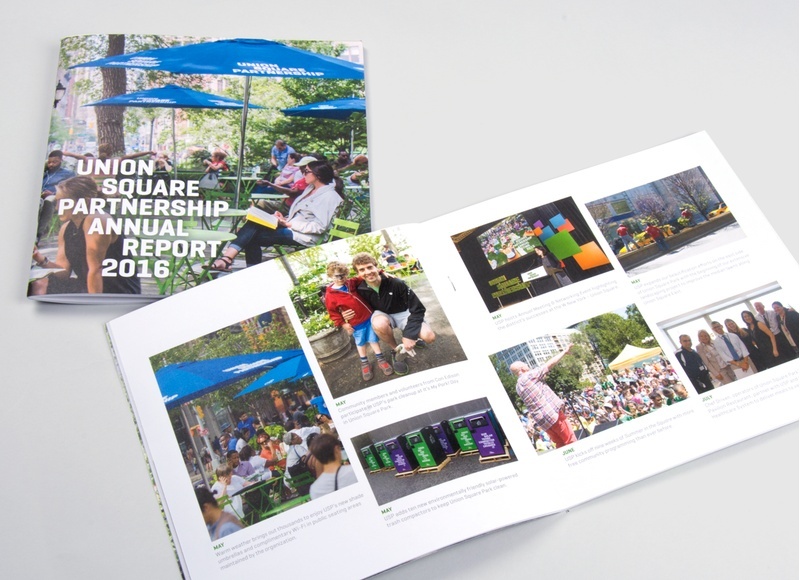 This year, C&G Partners was tapped to create The Rockefeller University’s first annual report in decades. 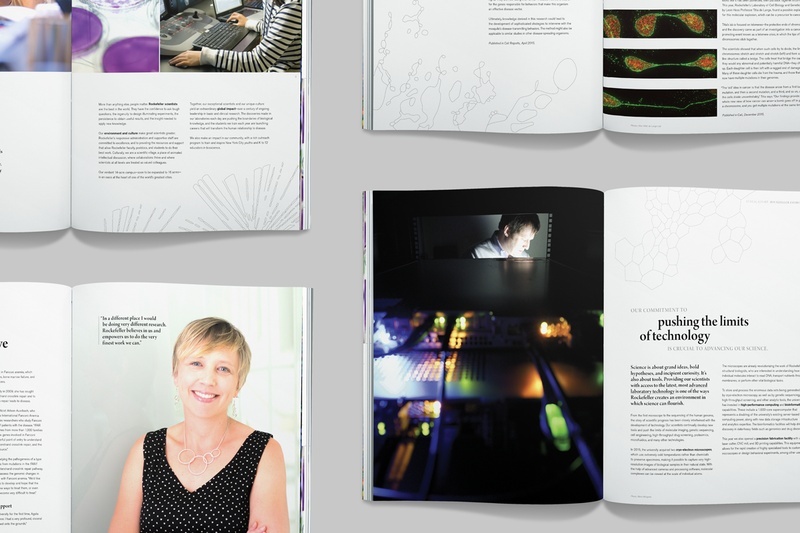 To capture that institution’s innovations in bioscience we transformed real scientific imagery into abstract art. 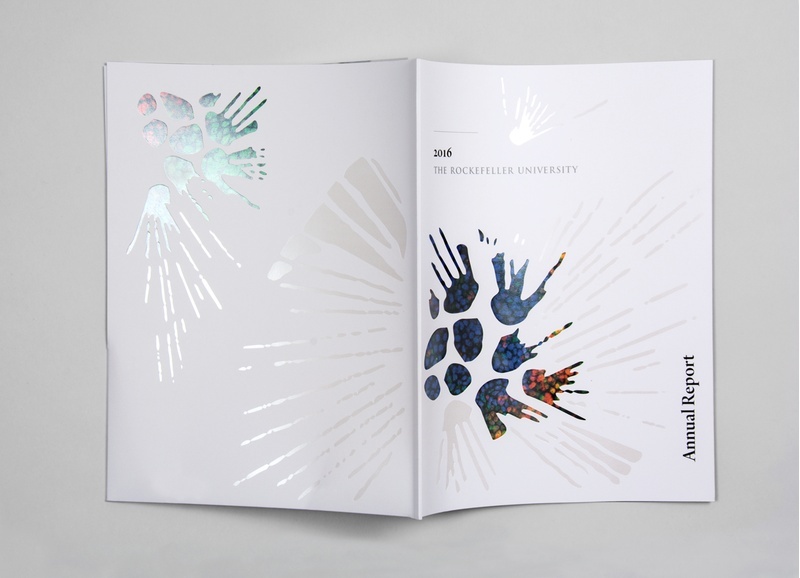 High-quality printing and subtle foil stamp techniques create a sense of understated quality suitable for The Rockefeller University, which is a small scientific oasis in the heart of Manhattan. 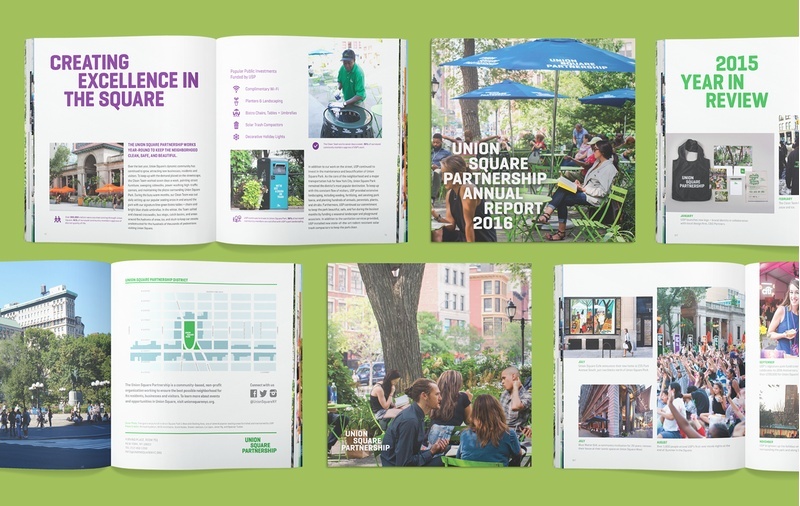 For the second year in a row, we designed the annual report for our longtime client, Union Square Partnership. The report reflects the Partnership’s exceptional growth over the last year and the vibrancy of the neighborhood. Similar to many pieces we've designed for Union Square, the book is deliberately square. The Union Square Partnership designs echo the brand identity we created for the organization earlier this year. 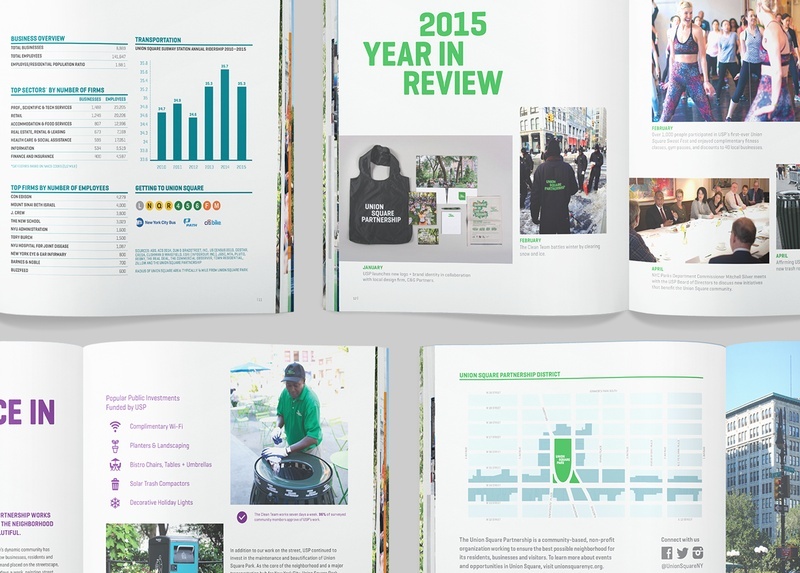 The report juxtaposes numerical tables with playful visuals and makes use of handy symbols to illustrate the Partnerships's many projects for the public good, ranging from solar trash compactors to planters and landscaping. The American Council of Learned Societies is a nonprofit federation of sixty-nine scholarly organizations across the country, and C&G Partners has designed numerous communications pieces for ACLS over the years. 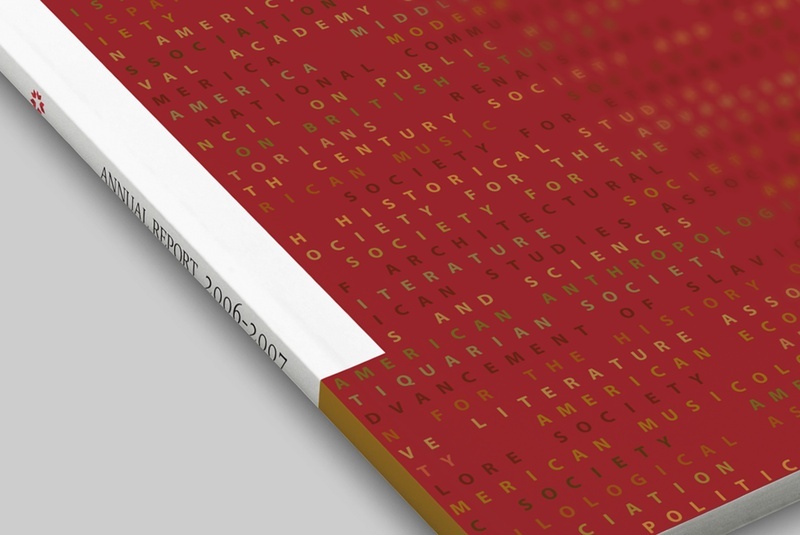 Beginning in 2006, we created a series of annual reports that each incorporate typography and a distinct color palette to highlight the Societies' mission of providing scholarships in the humanities and social sciences. 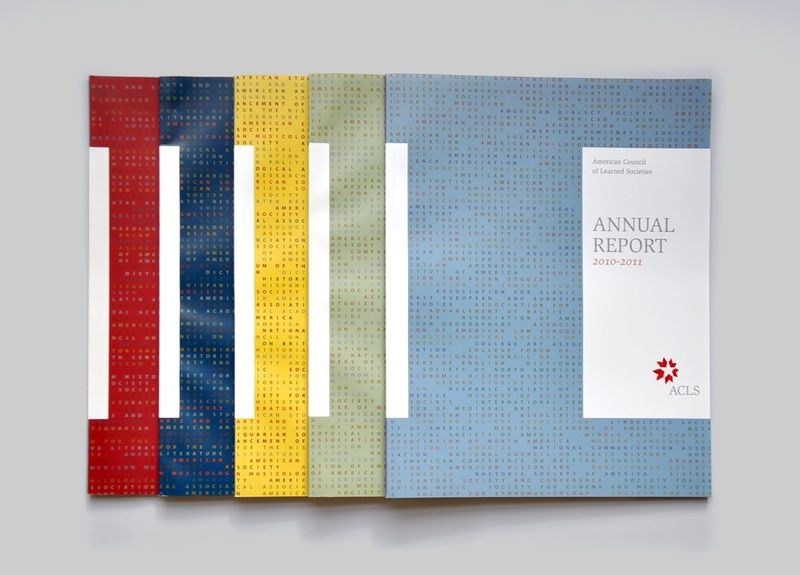 The design scheme uses names from the lengthy roster of member societies to create the changing colorful patterns that differentiate each new edition of the report. As with all these projects, engagingdesignand careful print production maintain interest, and give readers a reason to keep every copy.